What are Log Rules ? How can I calculate board feet? One board foot is the nominal quantity of lumber derived from a piece of rough green lumber 1 inch thick and 1 foot wide by 1 foot long. A wood detailing tool to help qualified professional designers estimate and account for dimensional change in new building construction. Wood shrinks when it dries and swells when it becomes wet. This on-line utility constitutes a quick and easy reference tool for calculating wood member dimensional changes due to changes in moisture contents. One of the major objectives of saw milling is maximizing the value of lumber products. A quality control program can significantly increase the output from overall lumber manufacturing. Estimating air drying times of small-diameter ponderosa pine and Douglas-fir logs. How is timber graded in Canada? How is decking graded in Canada? How is plywood graded in Canada? How is fingerjoined lumber graded in Canada? How is OSB graded in Canada? Hardwood Log Grades and Lumber Grades: Is There a Relationship? 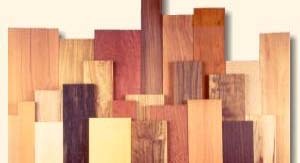 How to sell your timber and other tips on timber marketing. The information covering production, imports, exports and consumption, where available. What is the value of my timber? Stumpage Prices. The Timber Market Explained How are timber prices determined ? U.S. Department of Agriculture, Forest Service, Forest Products Laboratory. Save your deck! Make your old outdoor "Living Space" as good as new. Data on workability, finishing, and other wood properties is displayed in a colorful, easy to read format. CopyRight 2019 Global Wood Trade Network. All rights reserved.